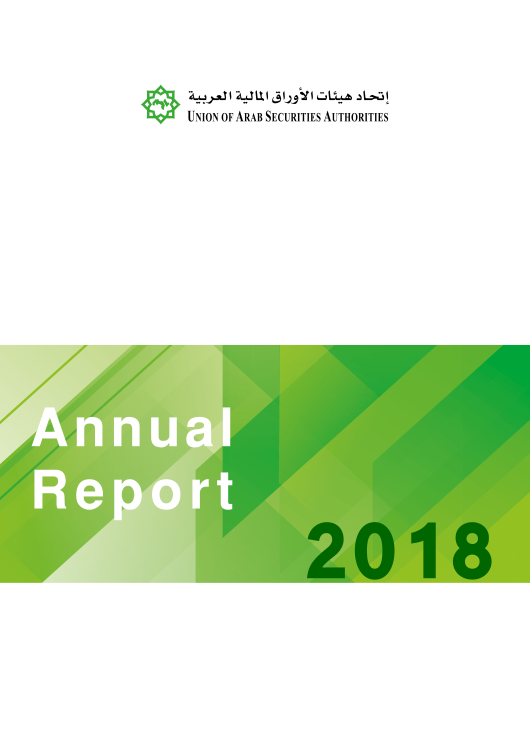 The Union of Arab Securities Authorities (UASA) Board approved the 13th annual report and financial statements for the year 2018 during its annual meeting held in Jordan on 27/03/2018. The report presents the most important activities of the members in market regulation and oversight, enforcement, awareness and cooperation. The report also presents the most important work of the UASA completed in 2018 such as the organization of The First Forum for Arab Securities Brokers in cooperation with the Securities and Commodities Authority (SCA). With regards to achieving harmony and consistency in regulations of the Union members, the UASA general secretariat issued three guidelines; the first represents the minimum requirements to be met for companies and entities operating in the Arab financial markets. The second guidelines are for the disclosure and insider trading of listed companies in financial markets, and the third guidelines are related to the initial offerings and listing in financial markets. The UASA General Secretariat has set up a secondment and assignment guidelines to provide means to facilitate the professional development of staff and to respond to members’ short-term needs for any program of work in order to benefit from the competency secondment and to meet the requirements of professional development. Furthermore, the UASA issued a study on pricing shares of new companies when listing and delisting, and a Glossary for common financial terminologies used in the Arab Financial Markets, the glossary was published in the investors’ education and awareness e-portal.